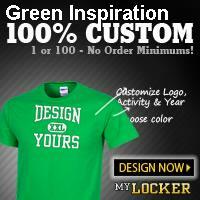 The Green Inspiration Academy is delighted to announce its very first single-gender educational campuses. The separate Girls campus and Boys campus will open on September 4, 2018. The campuses are be located at 4265 Northfield Road and 4901 Galaxy Pkwy in Warrensville Heights, OH. The campuses are less than 3 miles apart from one another. “The school will have students from over 6 communities,” said April Hart, Executive Director of the Green Inspiration Academy. This is a rare and new unique approach by a charter school! We intend to give our Scholars a “private school feel” in a public school setting, Ms. Hart stated. The School’s goal is to strengthen each student’s ability to focus and to acquire confidence in themselves. This is most effective in environments where girls and boys are free from the distraction of gender-based peer pressure in the classroom. Students will still come together as a whole group for many school activities outside of the classroom. Research has shown that gender separate classrooms increases student achievement and broadens educational horizons. Green Inspiration believes that girls and boys have different ways of learning, and because of that, a single-gender school can give each the ability to develop and learn in an environment that understands these differences. Scholars will continue to receive a high quality of education provided by a team of skilled, motivated, and dedicated teachers and support staff. The curriculum is broad, well balanced and enriched by a varied and interesting program of extra-curricular clubs and activities. 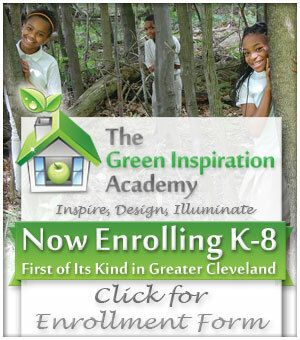 Green Inspiration Academy is a free, independently-operated public school open to all students, regardless of their neighborhood, socioeconomic status, previous academic achievement, or ethnicity. There are no admission tests or tuition fees. Enrollment is on a space-available basis. When the school has reaches its maximum enrollment, a lottery and waiting list system is used.